The Korean all-girl group will be releasing new music this April. Ahead of their highly anticipated comeback this year, Korean all-girl group BLACKPINK has released an official teaser poster for their new single ‘Kill This Love’ featuring its Thai member Lisa Manoban. 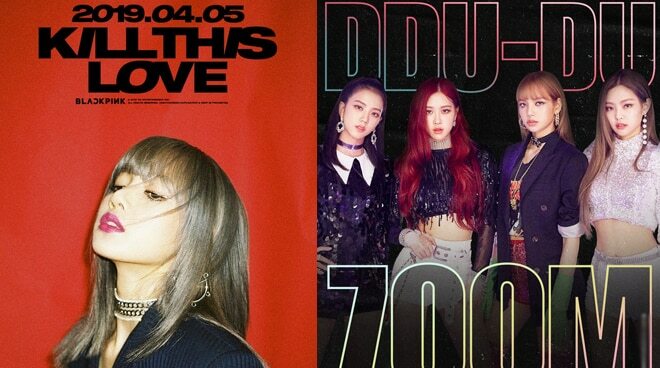 Through a tweet from their management agency YG Entertainment last Sunday, the band announced that they will be releasing new music this April 5, nearly eight months since their last hit ‘DDU-DU DDU-DU’ was launched. Composed of Jennie, Lisa, Rosé, and Jisoo, BLACKPINK has monopolized charts with multiple successful singles since they formed in 2016, including ‘Boombayah’, ‘As If It’s Your Last’, and ‘Forever Young’. It was in February when the group held their first ever concert in the Philippines as part of their 2019 World Tour [In Your Area].